Work for CA IT Asset Manager? Learning about CA IT Asset Manager? "If you are an enterprise, then CA IT Asset Manager is the enterprises choice"
This has all the power to be configured to whatever workflow you desire. It will cost and be very expensive to buy and to deploy, but for an enterprise organization that needs the backing of a large software vendor to hold accountable, this is a good choice. The interface is very outdated, mainly because they have to support older versions of IE in large corporate environments. It requires a lot of training from the end user to the administrator. This adds greatly to the cost of deployment, but if the end users are not properly trained on how to use this software it will fail. Look at easier, more modern SaaS technology, even it if it means streamlining your processes so you don't need such a customizable software that costs so much. Making your process easily to fit into a easier IT Asset Manager can save millions. Contract management and inventory management are the main use cases. For a large company doing numerous software and hardware recycles on an ongoing basis, this software helps to organize all warranty and disposal information. * We monitor all CA IT Asset Manager reviews to prevent fraudulent reviews and keep review quality high. We do not post reviews by company employees or direct competitors. Validated reviews require the user to submit a screenshot of the product containing their user ID, in order to verify a user is an actual user of the product. Hi there! 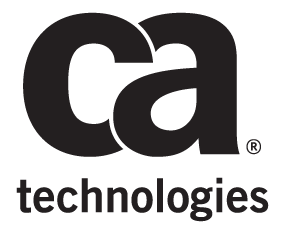 Are you looking to implement a solution like CA IT Asset Manager?